The Netherlands is one of the unique countries in Europe. The visionary architecture, the captivating hustle, and bustle of street markets, the vintage-paired-with-contemporary fashion, exquisite sweets, cozy canal-side cafes offering cool drinks. All these together can describe the mood and soul of the Netherlands. In case you want to know the most common places of interest in the Netherlands, we shall advise you visit Vondelpark, Anne Frank House, Mauritshuis and Rembrandt House Museum, Hoge Veluwe National Park, etc. 8Rental is a remarkable car rental service operating all over Europe. Established several years ago, our premier vehicle supplier made it an aim to deliver safe and reliable transportation to all travelers in the area. 8Rental is ready to provide premium car, minivan, coach and limousine rental with a chauffeur in a number of countries including the Netherlands. Whether you are heading to Rotterdam, Amsterdam, Groningen, Utrecht, Breda, Almere, Eindhoven, or any other city, 8Rental can become your trustworthy companion. Booking a vehicle with a professional driver in the Netherlands, you will be able to explore the whole majesty of this country on the most comfortable conditions ever! 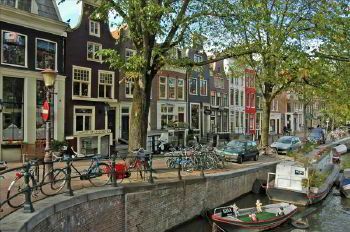 You just send us a quote immediately and make your unforgettable Holland journey with 8Rental! During all these years of operation in the industry, we have managed to gain the trust and affection of numerous customers from different countries of all angles of the world! We strive to provide exceptional high-level services and this feature allowed our service to grow to the extent it is now. Today we have thousands of loyal clients, so apply now to become one of them! Choose the Vehicle You Need! Either you are in the Netherlands on business or perhaps you are spending your vacations here, you will need to hire a car with driver. At 8Rental, you will be offered diverse car models to your choice. All of them are in excellent condition, equipped with every specification that provides a high level of comfortable driving. Regarding the security, these vehicles come with premier safety systems. For small groups of the Netherlands visitors, we have a series of minivans to be hired. These are ample and comfortable, and at the same time stylish and beautiful vehicles and as already mentioned you can book them by getting a quote and filling it out properly. A Mercedes Viano can be a grandiose selection for a smaller group consisting of eight people. A Mercedes Sprinter, meanwhile, is a better variant for groups composed of up to two dozens of passengers. Hiring any of these minivans, you are guaranteeing a funny and convenient transportation for all your travel companions. Rent a chauffeured minibus at profitable rates right now! 8Rental is waiting for you! If you are planning to welcome a large group of tourists in the Netherlands then you definitely need a capacious coach. At 8Rental you can hire a chauffeur driven coach at a reasonable price. Booking a Mercedes Tourismo, your tourists will be driven in the comfort they deserve and pay for. These vehicles are equipped with various amenities one can expect from a premium coach. In order to make an excellent impression, 8Rental offers several magnificent limousine models to choose from. For driving with up to nine people, a Chrysler C300 or a Lincoln Town Car Limo can be great. Yet, if you plan a VIP party inside the limo, you'd better select a Cadillac Escalade or a Hummer H2 limo as both of them are designed to drive a larger group of people. 8Rental is a reliable chauffeur service rental that has employed a respectable staff of drivers and workers. 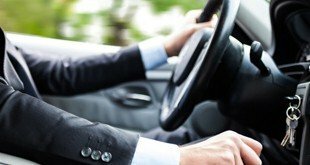 Our chauffeurs are licensed and professional. They will gladly drive you to all fascinating tourists attractions and admirable landmarks in the city you are traveling in. They are well aware of the city's roads and they will need only the address name to take the right direction. Hiring a vehicle from 8Rental, which come together with a driver, you can state the criteria your driver must have. If you need a driver who does not smoke, we shall provide him. If you need a chauffeur who speaks not only Dutch but also a language you speak, we shall provide him. With 8Rental, your safe and comfortable transportation in the Netherlands is guaranteed! Finally, regardless the length of the route or the number of hours our vehicle and driver will be at your disposal, the fuel is included in the offer! Just the same way you needn't worry about taxes or fees. Everything is under the responsibility of 8Rental and if you need any extras in the car you book (a TV, a minibar, etc. ), just let us know.